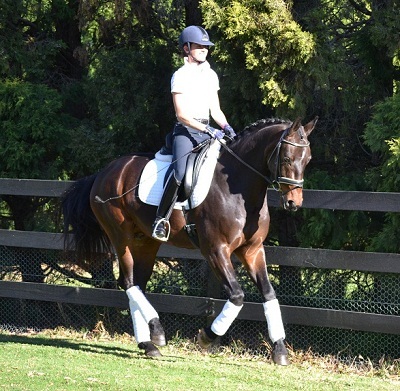 “I set out about 3 years ago to find my dream dressage horse. After many months of searching I soon realised that in order to get the quality I was looking for I was better off buying a well bred youngster from a reputable breeder. The young stock at Hunter Valley Warmblood stud were by far the best I had seen nationwide and I fell in love immediately with a 12 month old Hohenstien filly called H V Heaven . The time has flown by and now she is 4yrs old and going beautifully under saddle. She is the most special horse in every way and has exceeded all of my hopes and expectations. Laura and the whole team at Huntervalley Warmblood stud made purchasing Heaven a very enjoyable and straight forward experience. "Several years ago I found film of HV Sebastian on the Hunter Valley Warmblood Studs web site. The film of him on the go was breathtaking. I rang & spoke with Laura on several occasions about him. We were not looking for a colt or gelding but really wanted an international quality filly. Laura kindly promised me first option on a full sister if one was born the following season from Sebastian's dam, the superb imported State Premium mare " Donna Rubina"( Donnerhall x Rubinstine). Donna was again in foal to Stedinger. True to her word when a filly was born I was given first option. I travelled up to the Hunter Valley & met the then very young, HV Sonnet. Purchasing her was not a hard decision to make, Sonnet is truly international quality.When Sonnet was weaned & finally arrived at our farm, she couldn't be faulted in any way. Not only has she the best movement of any horse we own including our 3 in Germany, she is totally reliable to handle, even from such a young age. There has so far, never been a reason to fault her superb, calm, gentle & cooperative nature. 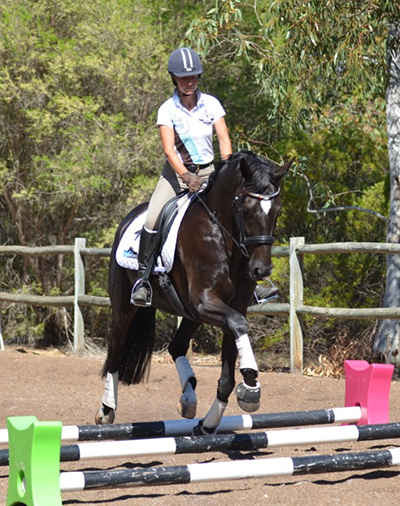 A three day clinic with the intelligent, articulate, passionate Australian Olympic Rider, Hayley Beresford was held from 23-25/11/2012 at Wallaby Hill Farm. I was lucky enough to be able to take my gorgeous new horse HV String of Hits aka Slipper. He’s a beautiful boy with a beautiful temperament. At the end of the 3 days Hayley congratulated me on owning such a lovely, wonderful, 4 year old. She asked the name of the breeder, I told her Laura Summerhayes and she asked me to pass on her congratulations to Laura for producing a top quality youngster. My grateful thanks go to Laura for giving me the opportunity to own the gorgeous Slipper.